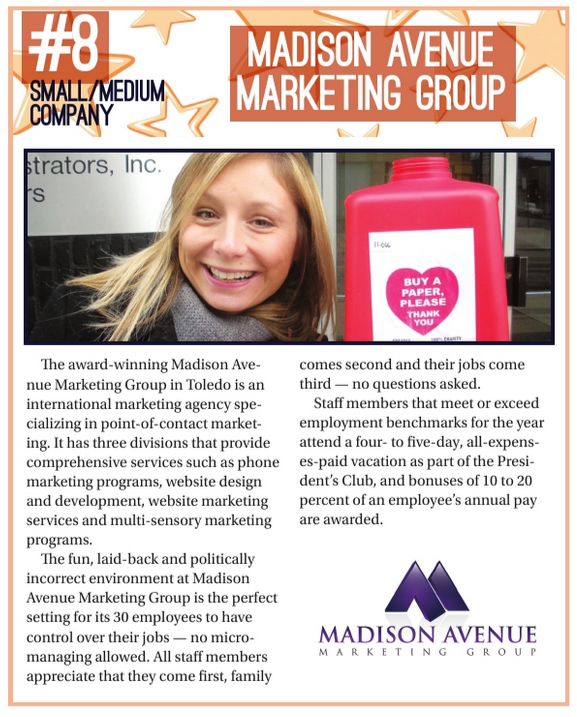 MadAveGroup has been named among the Best Employers in Ohio for 2013. In the annual survey conducted by BestEmployersOH.com and Best Companies Group, the agency ranked as the 8th best place to work in the "Small / Medium Company" category. "We've always known we have a great environment here," said Jerry Brown, "but by comparing our company to so many others across the state, this survey and this award confirm it." Brown is the CEO of the MadAveGroup, which provides point-of-contact marketing services for clients throughout the nation from its Toledo, Ohio headquarters. The best places to work are determined using a thorough company assessment. The two-part process gathers detailed information about participating companies. That information is then combined to produce a set of data which analysts use to determine and rank the strengths and opportunities of each company. 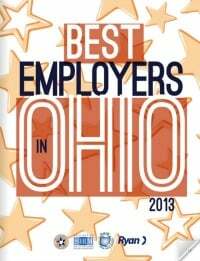 The image below is from the Best Employers in Ohio winners' book for 2013. Is Your Audience Ready for Your Message?